Our challenge this month is about Automation and Systems. There is no simpler automation than scheduling your Facebook posts. If you can post on your Facebook page, then you can Schedule posts. At the top of your page, type in a post like normal. Next to where it says "Post" there will be another button that says "Schedule" and you can choose a day and time. As for choosing the day and time, play around with it and see what works best for you in terms of engagement. In general, try to think of your main market (typically moms in their mid 20s to early 40s) and when they will typically be on Facebook: early morning coffee, after dropping the kids off at school, on their lunchbreak, waiting in the carpool line, after tucking the kids into bed. Now...Let's talk about the practical side of it. There are two main ways that you can set this up: a Marathon Session or a Sprint Session. For each topic, schedule 4-6 different Facebook posts on that topic. Schedule 4-6 different Facebook posts on that topic. ​You don't have to actually list or hashtag these days. It can just be for you, so that you have a theme to work around. In addition to these, you may want to have some easy days with generic content. There are always loads of videos and articles floating around for you to share with inspiring music stories or thoughts on why music and music education are important. Post on a regular basis and be sure not to post too much or too little. Make it juuuust right. Posting regularly is good but not if it's al the same thing. There is also too much of a good thing. Posts showing your kids passing lesson books are GREAT. But not if it's the only thing on your page. Articles about music being important are fantastic. But not if it's the only thing on your page. It's ok to share generic content, but people are on your page to hear about your studio. Don't tell them why music or music lessons are worthwhile. Tell them why YOUR studio is amazing. Don't be vague or general on your posts, be specific. "Yeah, ok...but I'm still totally overwhelmed. Can't you just...do it for me?" Ok, just because I like you. And because sometimes it's easier to get moving if we don't have to think and someone lays it out for us. We're going to lay out 6 weeks of content. Ready? The key here is to not overthink things and not to let Analysis Paralysis set in. You can always edit these later. JUST. DO. IT. For a Marathon Session, schedule an hour or so and knock all of these out. For a Sprint Session, pick ONE of these below and get it done in ten minutes or less. - What instrument should I start with? - How long should I practice? - What is a good age to start taking lessons? - How much are lessons? - Do you have concerts or performances? - Am I too old to learn an instrument? - We have openings for a guitar student at 4:30 on Tuesdays. 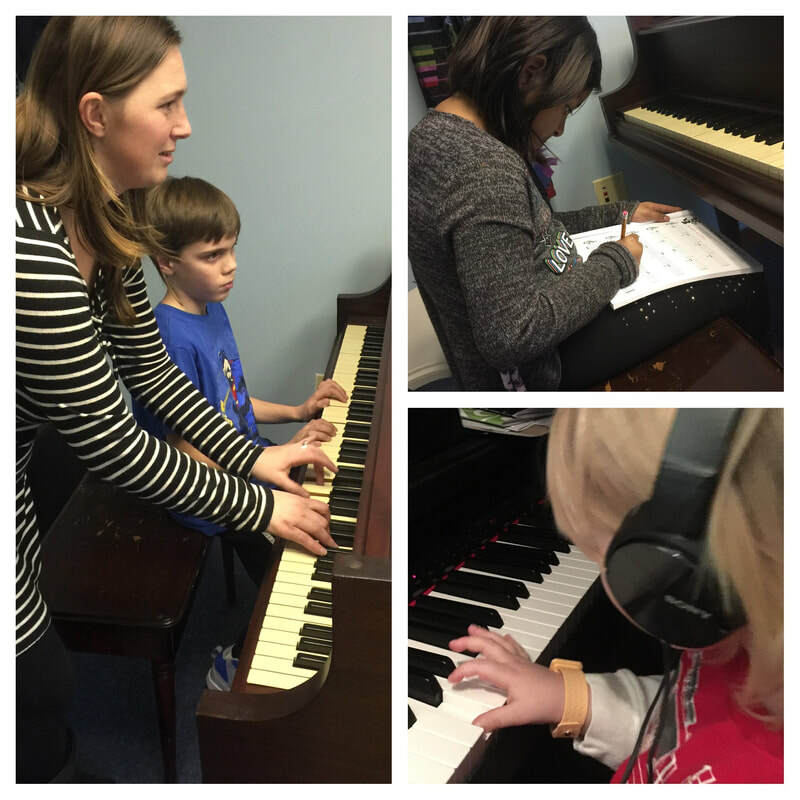 - Our Beginner Piano Group has room for TWO more students. So, that's it. Don't get overwhelmed, overthink it, or put it off. Just get it done. You'll thank me later. If you haven't already, be sure to join The Studio Challenge Mailing List. You get Weekly Challenges in your inbox, other useful tips and info, and you'll be among the first to know when something new and exciting is happening. Already joined the Mailing List? Sounds like you're ready for the next step. Join The Studio Challenge Patreon for useful guides and videos, mastermind sessions, and consulting. There are some exciting new options coming to the Patreon in 2019 so stay tuned! Also...be sure to check out The Studio Challenge Courses. We have a few courses for you to check out already, with more underway! What was your Lucky Break or Turning Point? I absolutely believe in working hard and I have had nothing handed to me. But I think there is a point in all of our stories that changed everything for us. A moment that, if it hadn't happened, would have drastically altered the course of our lives. I am not being hyperbolic. These are the moments that define us. I graduated with a degree in Music Education and was set to take a job at the school where I student taught. The school interviewed me, essentially hired me, and then waited until 2 weeks before school started to tell me that they had found someone else. I was crushed and out of options. I taught guitar and piano lessons through college but at that point I had maybe 15 or 20 students and it wasn't anything that I was taking too seriously. Just as the school year was about to start I got a call out of the blue from a local pastor at a big church in town that had an arts academy. It turns out that one of my friends from college had a job there teaching guitar and, at the last minute, decided to move to Boston for school and gave them my name as someone that might be interested in taking over for him. A 'CoffeeHouse Recital' at the church in 2011. My main teaching room for 6 years was a church classroom. Every day I would clear out dozens of chairs and tables to make it my own. Except not really. This was 2008. When I arrived to start teaching a week later it turned out that those '30 students' were actually only about 8 students. And I left my previous teaching position of around 20 students to take this job. Did I mention that I had recently gotten married? This wasn't some Golden Opportunity that was laid before me. I worked insanely hard to grow my studio to be big enough to even provide part of the meager monthly income that my wife and I needed in our early 20s. But I was able to take what was there and continue to build on it for the last decade. That opportunity (and the lack of any school openings for me to be a k-12 music teacher) is what led me to where I am today. 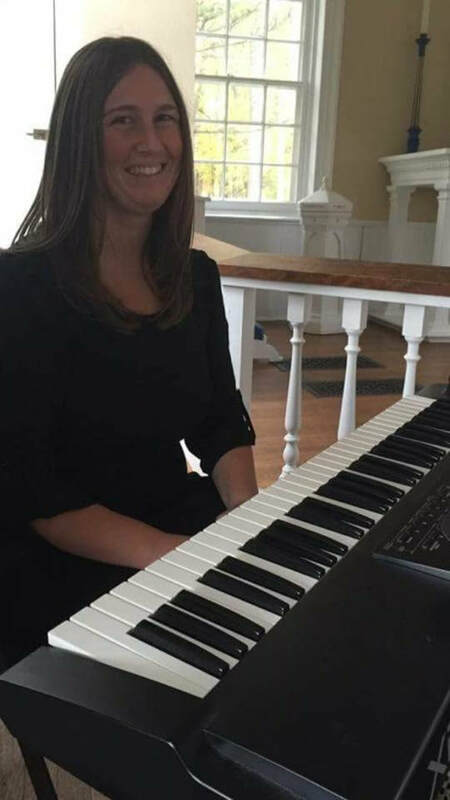 A few months later I also accepted a job leading worship at the church and spent the next 6 years there leading worship for their preteen ministry and teaching guitar, piano, bass, ukulele, and drum lessons. I took those 8 students and grew them to almost 80 over the next few years until I outgrew that church and saw that it was time to open my own studio. 5 years later and our studio has twice as many students and we have laid the groundwork for some substantial growth in 2019. One of my recitals in 2012 at the church before I opened my studio. One of the few existing pictures of Shane in 'formal attire'. ​Since I had to learn to run my own studio I found myself getting heavily involved in business and marketing. I dove in and learned all that I could, making a ton of mistakes along the way. Eventually, I wanted to have some other music teacher friends to talk to that were taking the business part of their studio seriously too. So, I started a little Facebook Group: The Studio Challenge. We started with about a dozen members and as of this writing that small group has grown to almost 2500 members in a little over two years. That is definitely something that I didn't really intend or expect. Through the group, I found myself answering a lot of questions and found out that, while I don't have all the answers that I am further along in the journey than a lot of teachers. That I could provide the help and support that I wish I had when I was starting my studio. Thus, the Patreon, Consulting, and Courses were born. And, trust me, we're just getting started. 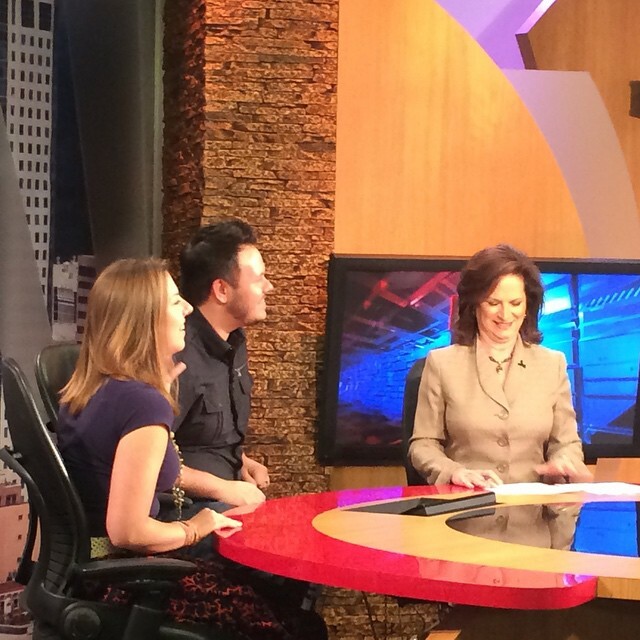 My wife and I being interviewed on the local news after our studio opened in 2014. 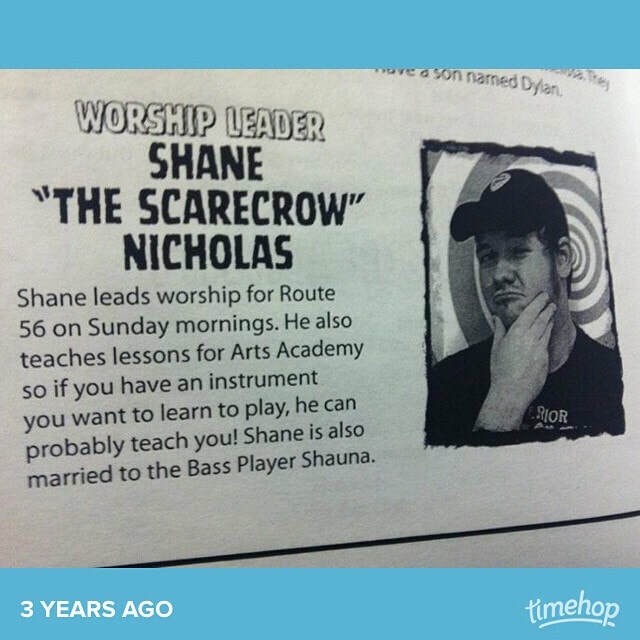 Throwback to my Worship Leader days when I was still teaching at the church. It's crazy how life works, isn't it? My wife and I were recently talking about where we would be if I had never gotten that call about the music lesson job. I don't think The Studio Challenge would be here. ​I don't think that I would be teaching music lessons, or I would be one of the many that teach lessons casually with no real sense of purpose or goals. I'm honestly not sure where we would be. My wife and I both work hard, but we see so many families in our studio that are also incredibly hard workers but struggle to make ends meet. We worked hard to get where we are but, if it wasn't for that one lucky break...that phone call about a teaching job because a friend decided to move out of town unexpectedly...my life, and perhaps yours if The Studio Challenge has helped you, would look a lot different right now. It's not about the breaks that you get, whether lucky or unlucky. It's about what you do when that opportunity is laid before you. 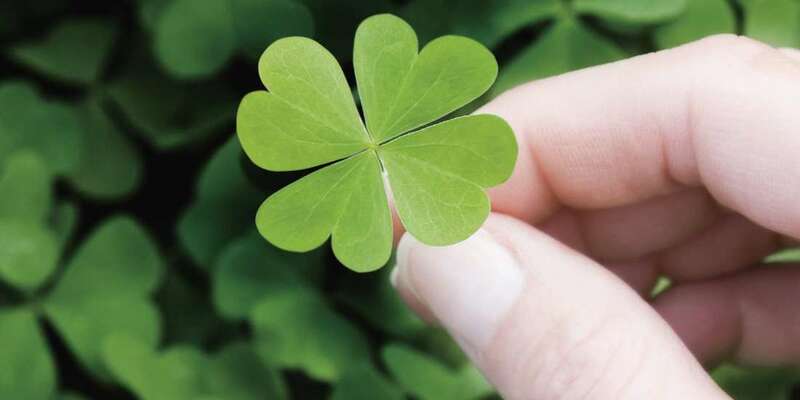 So, what was your Lucky Break? Ready to get serious about your studio? 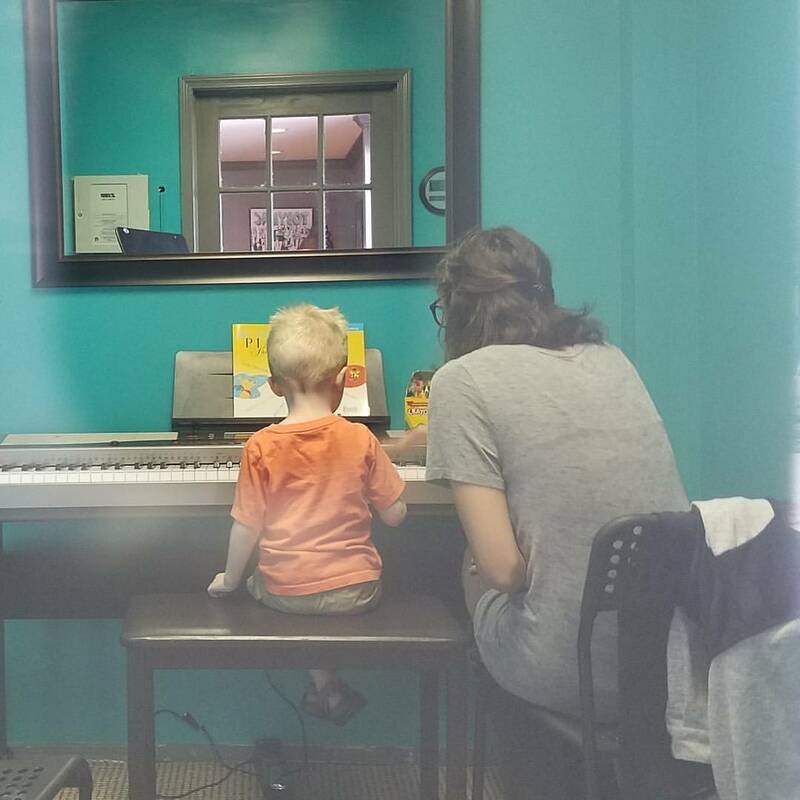 My Future Ninja at his Piano Lesson with one of our teachers. 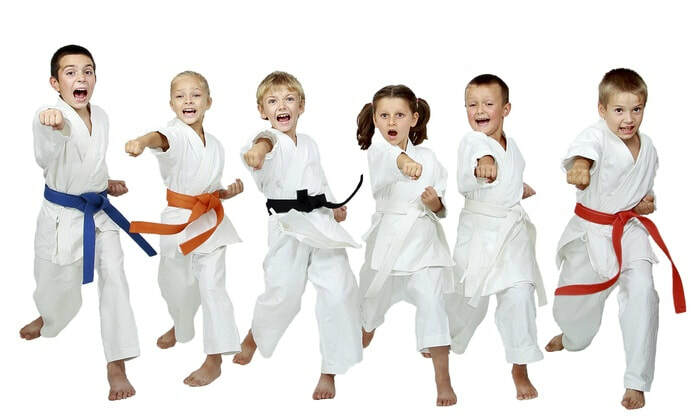 I'm signing my 4 year old son up for martial arts lessons this summer. I'm looking for something fun, where he can hang out in a group and use a lot of energy. He loves our group music classes but I want something physical for him. I also want to work on self-discipline and control and get him used to following instructions outside of our home and studio. I wanted to give you an idea of what signing up for kid's classes looks like from a parent point of view since we so often get stuck seeing it from our teacher/business point of view. 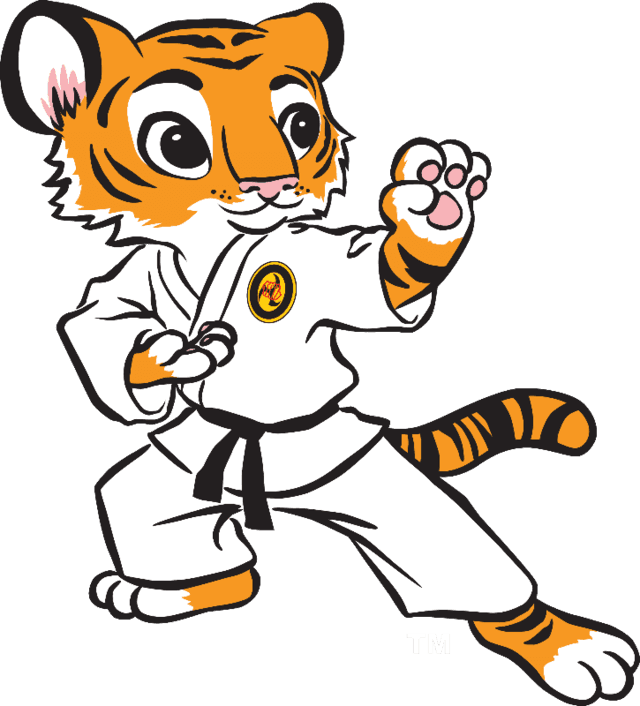 I reached out to 3 different local martial arts places. I googled and took the top 3 (Lions, Tigers, Bears....fake names) with the most reviews that looked legit. There are apparently more than a dozen nearby. I sent all 3 of them a Facebook message at around 8pm and all had replied by around 11pm. I asked them for more info about their program, what the monthly cost was, when classes for his age were, and what made them different than other similar offerings. None of them had any of this information on their website or Facebook page. My main hold up right now is that classes are offered around 4pm-6pm which is also when our studio is in it's busiest mode. I've been really hoping for morning or early afternoon classes but none of them offer that, so we're looking for summer classes when our schedule lightens up. ​I got the monthly charge, but wasn't told what was included. Again, I had to ask and was told that he could pick two classes per week for $75/month. As for what sets them apart: He listed a few styles of martial arts that I have no idea about and said that they are different because of that. After a pause in our chat, he decided to offer me a free trial class. ​[They get points for answering questions and getting back to me in a timely manner. But they weren't very personable and were still pretty vague. They are a prime example of a business that is too wrapped up in what they do to see it from the customer's perspective. I have NO idea what all of the karate stuff he was talking about was (even though I took a few years of karate as a kid). 2. The second place (Tigers) got back to me a couple of hours later and answered my questions about days and times. 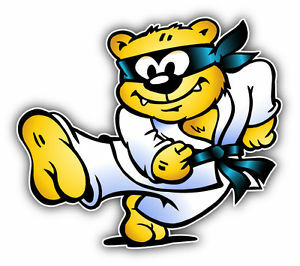 As for what sets them apart, they "work on our taekwondo curriculum along with skills for balance, speed, and agility." ​She suggested that I try their 7 week program for $150 that includes the uniform. It's no obligation and is just to give a feel for the program and see if it's a good fit. We could then continue at $95/month. [I'm still not sure what makes them different but I like the talk about balance, speed, and agility skills. That's what I'm looking for. The initial cost is high. I'm the typical parent that just wants to 'try it'. A $150 upfront commitment for 7 weeks is a lot. I'm not sure that we can do the time commitment and I'm hesitant to invest that much money before I know if he's even ready for this type of thing. 3. The third place (Bears) got back to me around 3 hours later. Apparently I had already reached out to them a couple of months ago inquiring about day time lessons and they said they didn't have any but sent me a list of their current times. They, by far, have the most days and times offered. At the end of my initial inquiry they also asked additional questions to try to continue the conversation, but I had already written them off because they didn't offer morning classes and that's what I needed at the time. She then offered the date of the next available course and tried to get me to sign up. Since they were the most personable, I asked more about what they would actually be doing and was told that they teach basic martial arts skills, life lessons, and safety skills. I haven't made a final decision yet, but I'm leaning strongly towards Bears because they offer the most class times and days and have the best offer. They seemed like the most knowledgeable and professional of the three. 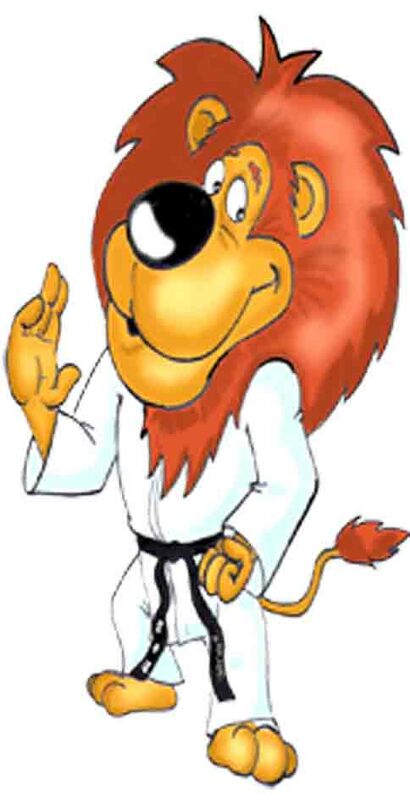 Though Lions is the cheapest, most convenient location, and offered a free trial class, I just didn't get a good vibe from them. I'm still not sure what they do and it doesn't sound as good as the other two. There's a good chance that we still go and do the free trial class though just to check it out and so that I can see what my son feels about it. Tigers sounded the most like what I'm looking for (With balance/speed/agility skills) but the class times were very limited and the offer was too expensive and too lengthy for a 4 year old. The monthly part was the most expensive of the three. They also offered a free trial class and I'll probably take them up on it. Bears won me over with their responses and their offer: $38 for 3 weeks and a free uniform is a great deal and will give me just enough time to see if we want to continue. I plan to get started with them later this month and maybe check out the free trials from the other classes over the next few weeks. 1. I'm just looking for something fun and cool for my kid to try. He's 4. We aren't serious about this. He just wants to pretend to be a ninja and I think learning self-control could be beneficial for him. I think parents looking for music lessons for kids (especially young kids) feel the same way. They are just looking for something fun and interesting for them to try. 2. The Trial Offer was a big factor for me. Lions and Tigers offered a free trial class and I'll take them up on it. Even though I probably won't pick them, I like the idea of being able to see what they offer. They have big classes, so this really doesn't cost them anything. The Lions' $38 offer is a great offer. 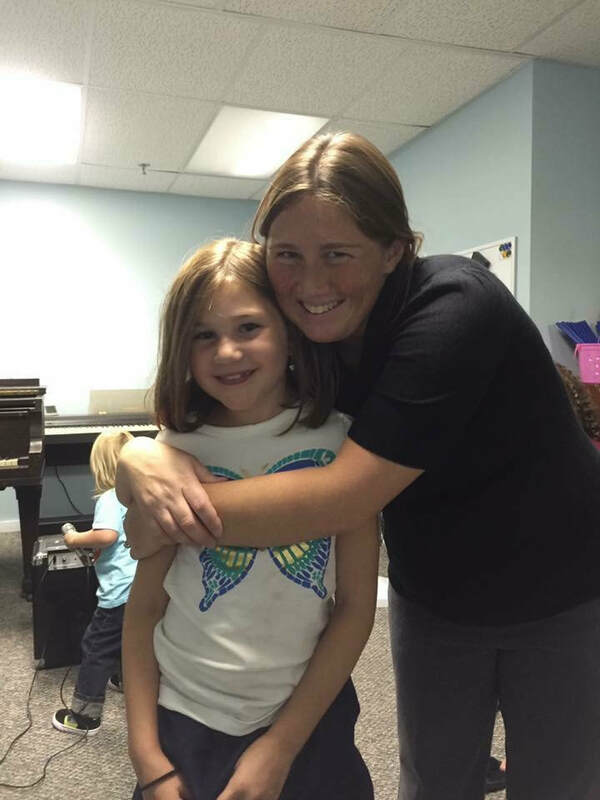 We need to have GREAT trial offers for kids when they want to sign up for music lessons. A free lesson did not sway me in the least but a great offer made me want to sign up. The value compared to the price is outstanding and I'm in. 3. I've heard great things about Bears and they even stopped by our studio last year to exchange business cards. They also had the most reviews. I don't know if they are the best place for martial arts, but they run the best business. Overall, I think we have a lot to learn from studying other businesses and our own shopping habits. What have you learned from local businesses? I love our Studio Challenge Facebook Group. It is an incredible place to share ideas and grow and I knew that I wanted to create something for those of us that were ready to go a little deeper, get some extra support, bounce around ideas in a smaller group, and grow their studios in a productive, encouraging and engaging way. That's exactly what the Patreon is. We have just rounded the 3 month mark with The Studio Challenge Patreon and it has exceeded all of my expectations. Not only that, but it's a ton of fun! ​​I love getting to meet with studio owners for consults and our mastermind sessions each month and hearing about their insane growth. One has more than doubled her studio since January. Others now have full studios and are working on new goals and new roles. With others, we're in the process of reworking various parts of their studio to ensure current and future success. ​I just wanted to take a minute to keep everyone posted on what we've been up to and how you can get involved! I try to include an extra bonus or two each month for Patrons. ​There are currently 5 bonus posts in the Patreon, including some free previews of my courses for Ukulele and Building a Better Website. A Screenshot from Last Month's Mastermind Session. There are THREE different levels for you to choose from! "I'm Pretty Serious about my Business"
For $5 each month, you get the Monthly Guide & Checklist as well as the Monthly Video. ​I regularly post polls so that you can vote on what you would like the next guide and videos content to be about. "I'm Ready to Take This to the Next Level"
A Monthly Analysis of your Website or Social Media. Access to participate and watch replays of our Monthly Mastermind Sessions. You also get access to all content from January - March and any bonus materials posted. "I'm a Boss and I'm Ready to Conquer the World"
A Monthly 60 Minute One-on-One Video Consult to grow your studio. I am currently consulting with 7 studio owners each month with a wide variety of studios and geographic locations. I work with studio owners of all ages in all 4 US time zones, England, and Australia that range from just getting started with their studios to much bigger studios. Some are working on growth. Some on goal setting and achieving goals. Some just need help with organization and some accountability. Honestly, I think the biggest help is just getting an outside opinion on your studio and getting some one-on-one support on a regular basis. Running a studio can be frustrating and lonely and it's really nice to get a fresh pair of eyes and someone to talk to and bounce ideas off of. I LOVE this stuff. I LOVE working with studio owners and helping them to get organized, set goals, and grow their studios. I love helping them figure out new roles and transitions as they move into new stages with their studio. My goal was to pack a CRAZY amount of value into each one of those price points. ​I want to help studios grow in a way that won't totally break the bank. ​I look forward to seeing you on Patreon! For many of us, we never really get the chance to step back and look at our business. It can be hard to get a bird's eye view when we're working in our business every day. That's why this month we're going to make a change. For our February Challenge, you're going to take some time to focus on your studio in a way that you have probably never done before. The idea is for you to get away. Leave your studio. Leave your students. Leave your computer. Leave your phone. Just get away and think about your studio and your goals. Take 3 hours by yourself to focus on your business. Take a notebook with you and head to a park, the library, a coffeeshop, or anywhere that you can hang out for a few hours. It doesn't have to be quiet. Sometimes it's nice to be alone in a crowded room. Maybe the food court in the mall. But here's the catch: you have to get out of your normal routine. Don't do this in your living room. Or your office. Or your studio. Actually GO somewhere. Put yourself in an unfamiliar place so that you can focus without distraction. It is imperative that you don't have your phone or computer. It's just too easy to get distracted and check Facebook or Pinterest. Or get a good idea that you want to look up on Google. Or a new thing that you can add to your website. This retreat isn't about action or research. It's about thinking. And planning. And dreaming. Allow yourself to do that. Book a hotel room. Go camping. Stay at your friend's lake house for the night. You are giving yourself the gift of time. All of the same rules apply. Don't take technology. 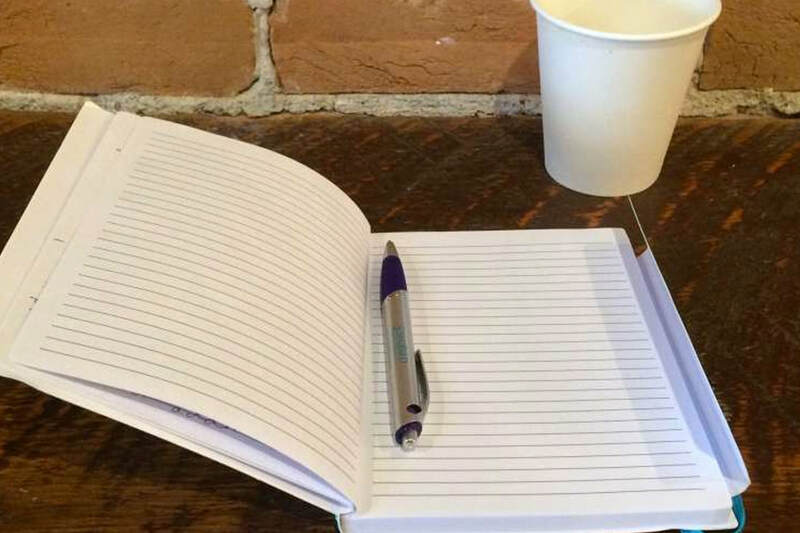 Just a simple notebook for you to jot down and organize your thoughts. The real benefit here is that you have the ability to really let yourself go and get into it without worrying about what you're going to cook for dinner, picking up the kids, or if you double-parked somewhere. You will mostly likely have an entire evening, night, and morning to yourself. How awesome does that sound? Give yourself space to think through your journey up to this point. How did you get where you are? Where do you really want to be next year? Or 5 years from now? Or 40 years from now? Are you on track to get there? Only for the bold. You are the proud winner of a 3 day, 2 night expedition into your mind. You really get the chance to break everything down here. Think about EVERY SINGLE THING that you do as a studio owner and why you do it. Most of us get into habits and just continue doing things because it's the way we've always done them. Do you sit on the right side of the piano during your lesson? Why? Is it just because your piano teacher did that? What if you sat on the left side? Would it change anything? Is it worth a trial run to see if it has an impact? That kind of thinking. Literally go through everything that you can think of and question it. Nothing is sacred. Nothing is too small or too large. Does your business name make sense? How about your marketing strategies? Is teaching really something that you want to do for the rest of your life? Should you go back to school or take a business class? What do you love about your job? What should you pass off to someone else so that you can focus more on what you love? GO DEEP. 1. This is a BUSINESS trip. It's going to be easy for your mind to wander and that's ok. Letting your mind chase those thoughts that have been bouncing around for weeks is healthy. But reign them in and get back to the business at hand. Don't let yourself start planning your next vacation, or wondering about your kid's homework, or meal planning for the next week. Acknowledge the thought. Maybe even keep a separate sheet of paper that you can write all of those things on so that you feel like you've been heard. Then move on and get back to thinking about your business. 2. It's ok to be selfish and focus on yourself for a time. 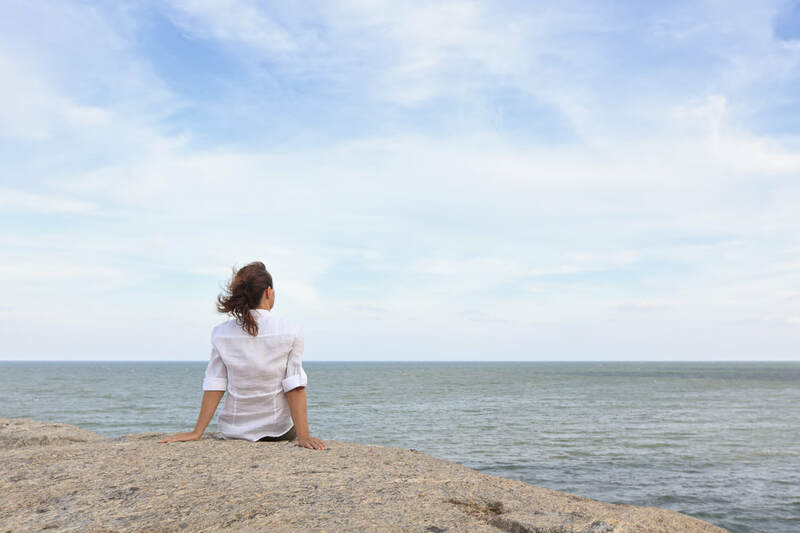 Obviously you don't want to be self-centered ALL of the time but it is extremely healthy to take some time to really get introspective and figure out what you want and what you need. This is going to make you a better person, better teacher, and better business owner. You owe it to yourself to do this. 3. Make it fun. It doesn't have to be all serious all the time. Let your imagination go wild. Dream and plan things that you have no possible way to accomplish. If you had millions of dollars and no limits, how would you set up your studio? Your thought process will likely differ from mine and you may surprise yourself. You may be super productive and be able to get a lot accomplished in a 3 hour mini-retreat. Others may need a few days to unwind so and really be able to think. ​I am SO excited about this one! I started The Studio Challenge Facebook group about 18 months ago and I love that we have been able to help each other to learn and grow. 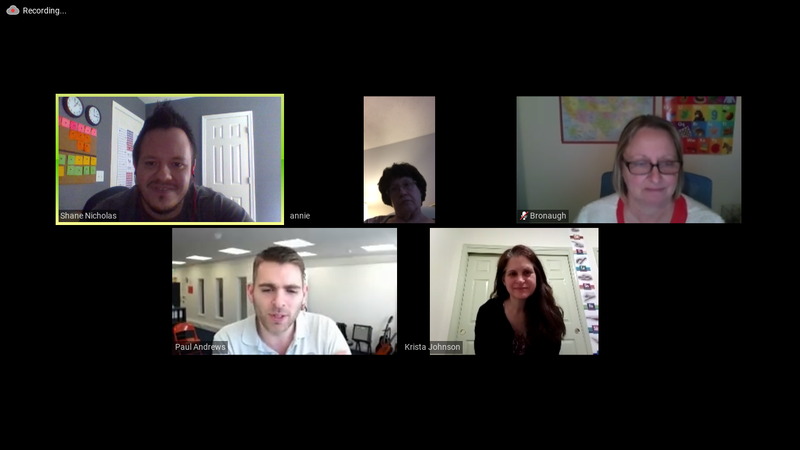 We're a diverse group of music teachers from all over the world. The Facebook group has helped a ton of studio owners to start thinking about their music lessons as a business and in turn see solid growth. But one of the downsides of the group is that great advice is shared and then lost in the abyss of Facebook groups. I'm really excited about the ability to offer an organized and structured way to share information to help you grow your studio and take it to the next level. ​I started offering private and group consulting as well as website and social media analysis last year. After working with about a dozen studio owners I saw some pretty remarkable transformations. But some people aren't quite ready to jump into consulting sessions. ​For the cost of a cup of coffee, I can now start helping studio owners that are ready to dive in a little deeper and want some more structure. I am offering THREE TIERS to choose from. The First Tier is only $5 a month. 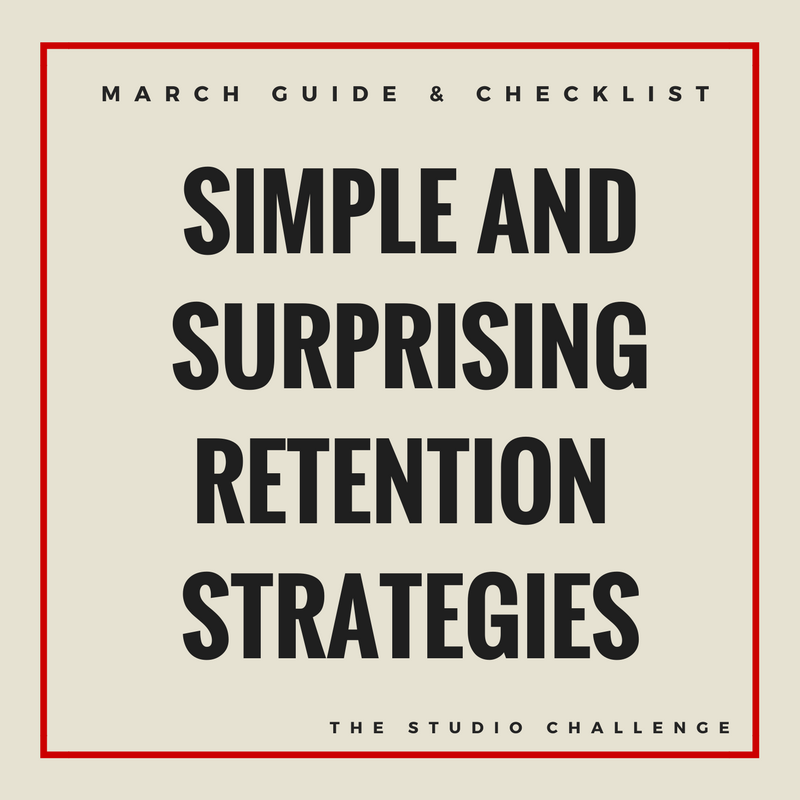 You get a monthly guide on a particular subject each month that is designed to help you grow a certain aspect of your studio. I also include a monthly checklist to help you to start working on what we're learning each month. This isn't for casual observers, but for people that are ready to work and take it up a notch! You also get to vote on upcoming subjects for me to cover. In addition I include a video each month where I break down something business and studio related and give some tips and insight for those that are more visual/audio learners. The Second Tier is $20 a month and includes personalized content. At this level, I will do a written analysis of your website or social media each month. Sometimes you need an objective observer to check out your website and let you know how to design and improve it to get more students to your site and get them signed up. I have been offering this service to teachers for over a year and have seen some great results. My recommendations are practical and simple. I don't require you to know a lot of tech stuff and you can get started with some easy changes or jump into bigger things. Either way, you will start to see results as more people see your page and inquire about lessons. This tier also includes a monthly live chat where I will discuss a subject and answer questions from members. If you can't make the live chat, you can send in your questions for me to answer and I will post the video later so that you can check it out at your convenience. You also get access to everything from the First tier. The Third Tier is the $50 tier. This one includes a one on one video consulting session with me each month where we can discuss, plan, and strategize anything about your studio. This is great for those that are really ready to see their studio grow and need help working on specific problems. The teachers that I have consulted with have seen substantial growth through streamlining their processes, tweaking their policies, and upgrading their systems. I offer practical advice to help your studio grow and I'm there to help as you implement changes. You also get access to everything from the First and Second tier. As a bonus for signing up this month I am including some additional content for Patrons geared towards helping you find your niche and determining your ideal student and how to find them. There is also a FREE guide available to anyone to help you improve part of your website so that you can get more inquiries and more students into your studio. You don't have to be a Patron to see this guide. I just wanted to include something as a thank you for Facebook group members and to give you a taste of what's inside once you become a Patron. ​Ready to take your studio to the next level? Click the button and let's do this! Nothing about The Studio Challenge Facebook group will change. It's not suddenly going to become a paid group and I won't harass you to sign up for anything. This Patreon is here if you're ready to get serious and take it up to the next level. ​If not, The Studio Challenge Facebook group will continue being as awesome as ever. and delete your social media and email apps. No one has a harder time unplugging than me. For almost a decade I prided myself on being the guy that would answer emails, Facebook messages, and texts at any time of the day, even on weekends. Where other places wouldn't get in touch with students or new inquiries I made it my goal to respond within one hour, often within minutes of receiving a message. Did we get some new students? You bet we did. Have I noticed a significant drop off now that I choose to hold more normal business hours? Not really. It turns out that responding within 12 or 24 hours is still considered fast service for most people...even if deep down I would still rather respond immediately. I learned something interesting. I would often respond to emails immediately, assuming that the person was waiting on the other end and would get in touch with me instantly. Many times I would send emails with 3-5 minutes of receiving a new inquiry and then patiently await a response. And it wouldn't come. Not minutes later. Or hours later. Sometimes not for days or a week! Why would people not respond immediately when they get an email from me? Because most people respond when it's convenient for them and there isn't really an expectation to immediately return an email. That's just in my head. ​We ended our Spring semester last May and were heading on a family vacation. I did what I had been doing for the past few semester breaks: I delete social media from my phone and turn on a vacation message for our phone and email accounts. But then I went a step further. I deleted the mail app from my phone. I deleted all social media apps from my phone. I turned off notifications for every app on my phone. I cannot explain to you the amount of freedom that I felt. It's cliche', but it's like a weight was lifted off of me. I still found myself checking my phone every few minutes. I told myself I was just checking the time but it's like there was this itch that I had to scratch. It would gnaw at me every few minutes. Definitely a bit of FOMO (Fear Of Missing Out) but also something real and a bit scary: addiction. "Hi, my name is Shane and I am a social media, email, and phone addict." This scared me. It's not just a bad habit. It wasn't me being a superior businessman. It was a need. There was a real urge and drive to check and grab my phone every few minutes. 1. Phone on Vibrate ALL the time. No sounds. 2. Phone on Silent ALL the time. No sounds or notifications unless I look at my phone. 3. Delete apps during vacation time. I have to pull up email and Facebook in my browser. 4. Delete apps permanently. I have to pull up email and Facebook in my browser. I don't think I can take the next step which would be to permanently delete all of the apps and not pull them up on my phone at all. This would mean only checking email and Facebook on my computer. As freeing as this sounds, I just don't think that it is practical for me while I'm running a business. I recommend jumping straight to Number Four. ​If you can't, try one of the earlier steps and start working your way down. We weren't made to function with things constantly chirping at us every few minutes. I have a toddler. It is almost impossible to work and focus when I'm with him. ​So why do we willingly choose to let another toddler (our phones) run rampant in our lives? I moved my phone charger across the room or into another room. I would venture that you are probably like me and fall asleep checking something on your phone and grab it immediately upon waking up each morning. Initially I moved my charger to my office but it has crept back into my bedroom, though I keep it on the other side of the room. This has made a big difference and I find myself sleeping better and waking up better each morning instead of going into zombie mode on my phone. When I get home at night I plug my phone into the charger and try REALLY hard to not look at it again until the next morning. What benefit can I have being on my phone between 9pm and 9am? That's time that I need to spend with my family. Let's be real. I'd rather hang out with these guys than sending studio emails and constantly checking Facebook. It's just as distracting to be on your computer working on something (like this blog) and have notifications popping up about emails and Facebook comments. I have a solution here too. Most computers will allow you to set up separate accounts. I created a separate "The Studio Challenge" account on my chromebook. I don't sign into ANY of my online accounts. I can't access email, Facebook, or any of the other sites that I normally log in to. Even if I wanted to I would have to go through the trouble of logging in. I am only logged into Weebly (for working on the website), Teachable (for working on new Courses), and Google Docs. No YouTube. No Facebook. No Email. Just sweet focused work. It has helped tremendously. I still get that 'itch' to check something or make sure everything is ok but I'm learning to ignore it. There are very few things in life that can't wait 30 minutes for me to finish writing this blog. Here's the best part. I'm not less productive because I'm on my phone less. I'm actually more productive. When I check my phone and computer it's because I'm there to do work. 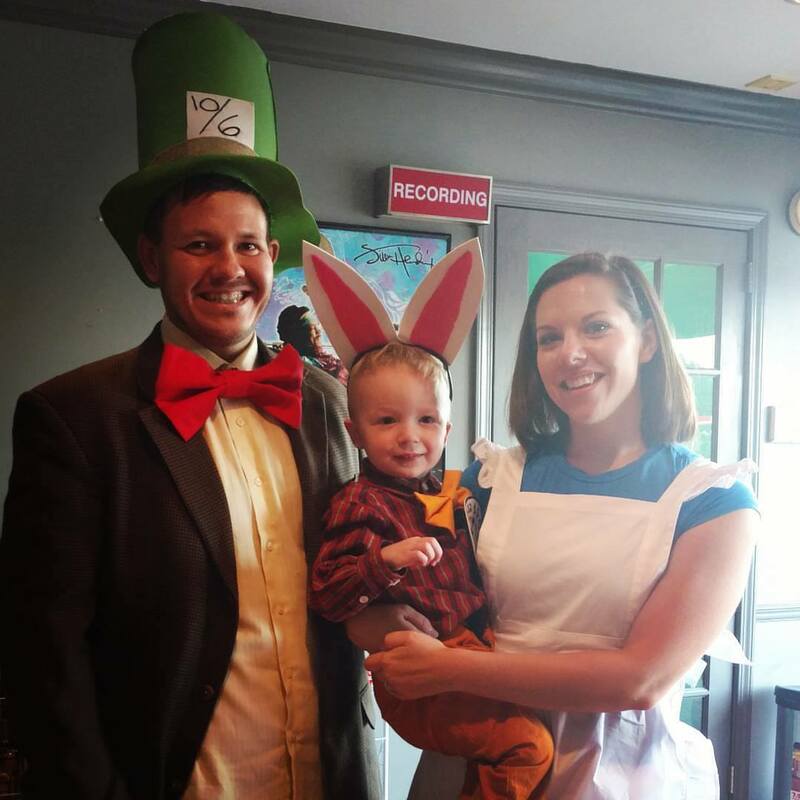 I'm very intentional and try not to let myself drift off and head down the rabbit hole. So, do you have what it takes to be intentional? 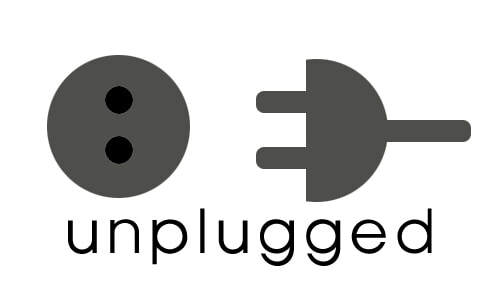 ​To make a conscious effort to unplug and step back? Consider it your next CHALLENGE. This week we had an unhappy new student. We have had hundreds of students come through our studio since we opened a few years ago and I can count on one hand (without even using all of my fingers!) how many unhappy students and families we've had. One of the truths of this business is that if you do it long enough you are bound to have some unhappy families. Some of them REALLY unhappy. Here is something that I have learned in 15 years of teaching lessons: Most of the time it has nothing to do with you. The issue isn't really about the issue. It's about something else going on in the person's life that makes them take something small and blow it out of context. Before I opened my studio and was teaching at a church, I had a parent EXPLODE on me for not giving her a makeup she thought she deserved. She contacted all of my bosses, wrote the Better Business Bureau (before I even officially had a business), and generally tried to destroy me and my business. Over one makeup lesson. The leadership of the church found a way to appease her and I never saw her again. Or so I thought. Six months later I got an email from her wanting to meet me at the church and apologize. I tried to side step it but she was insistent. We talked for about 15 minutes and she revealed to me that she had been abused her whole life and at the time of our spat was being abused by her husband. 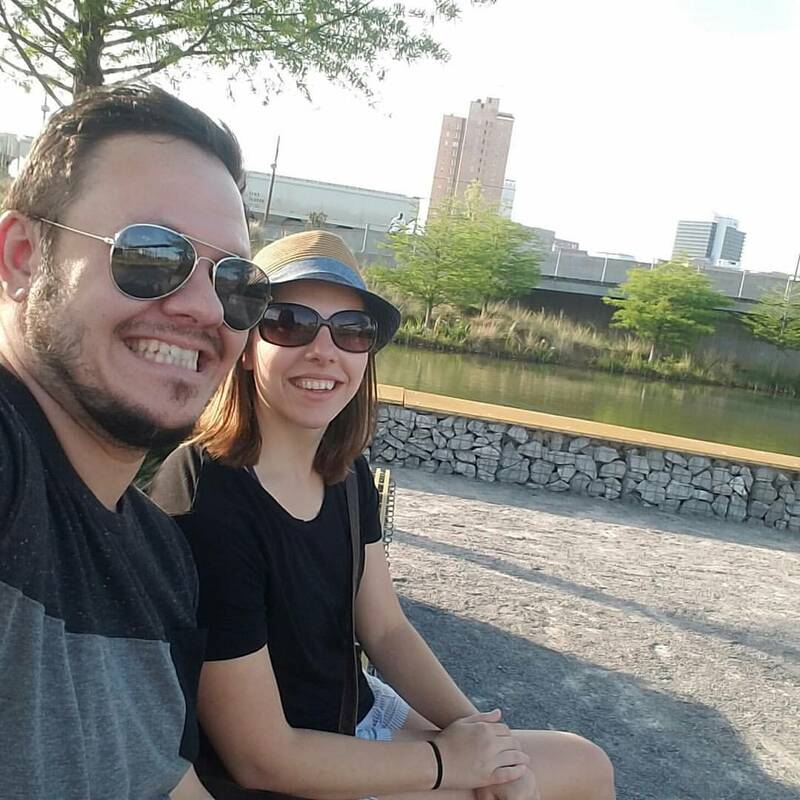 She moved to a new city and started receiving help and support and reached out to me six months later. Ultimately, it came down to the fact that she couldn't let one more person tell her what to do or how to live her life. She exploded on me initially because I happened to be the straw that broke the camel's back. I was acting in accordance with the church's policies which she signed and was 100% in the right. But I held firm and it turned into a major event. This week I decided to handle it differently. An adult student misunderstood some of our pricing and policies and wanted a refund. We don't do that. Ever. In 15 years of teaching I have never issued a refund. But I decided to try something new. Instead of fighting and arguing with someone that would never concede my point even if proven wrong, I decided to just let it go. Yes, I lost a student and the resulting wages from that. But they weren't happy and didn't want to be here. In that case, it's best not to have the student in the studio. Could I have held firm and argued my policies? Absolutely. Again, we were 100% in the right and have documented proof of it. It probably would have even felt justified and even a bit of self-righteousness as we proved that we were in the right. But, is it worth the time and energy? But here's what is. We had two walk-ins that day looking for lessons for siblings. We had another student that scheduled a tour come into our studio that wanted to start lessons. We had some awesome group classes that students loved and they're excited about signing up for the next group class. I talked to happy parents at the desk all day that love what we do and who we are. That is where I chose to focus. When someone isn't a fit with us it is in our best interest to get them out of our studio (and my life) as quickly as possible so that I can focus on the positive things that our studio brings. Why would I want to spend the time and energy on something that won't make us money and on someone who won't be happy in our studio? As a business owner your responsibility is to yourself and your clients. You need to focus on what makes you money and you need to focus on making your current clients happy and motivated. Another important note: The "problem" families that we've had in our studio aren't bad people. They just weren't a good fit for our studio. And that's ok. You can't be all things to all people. When it isn't working, it's best to part ways and wish them well so that they can find a place that fits them and their needs. So, that is my advice for the day. We're all going to have those families. If you haven't...don't worry, they're coming! You can't choose how people will treat you, but you can choose how you react to it. Choose to focus on the positive. I'm really excited to offer our first online class! You can read all about it by clicking on the link so I'll just give a short synopsis here and then tell you why you should absolutely, definitely, enthusiastically add ukulele to your studio. The course contains 5 video lessons that you can watch and rewatch as needed. Each lesson comes with detailed notes to help you get started and I include a bunch of links to ukuleles that I recommend, ukulele players you should know, and a bonus video to help you get started with chords. This course is here to give you a solid foundation and to help you learn technique so that you can play and teach ukulele correctly. Ukulele is such a fun instrument and was an awesome addition to my studio 5 years ago. I had a guitar background which made it easy to pick up. 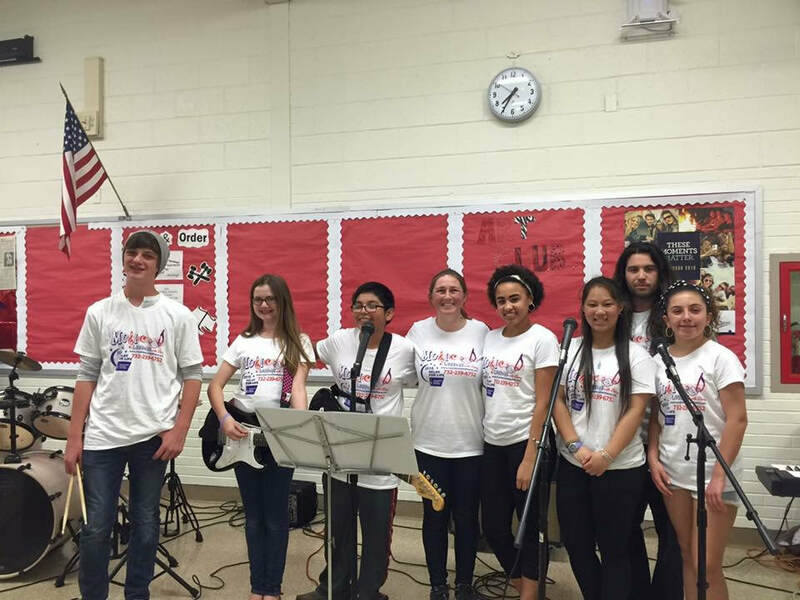 I'm a multi-instrumentalist teacher and many of my students also play more than one instrument. It really makes a difference on their primary instrument and with retention in our studio. In addition to offering private uke lessons we currently have two full ukulele groups and are about to add a third. Every studio is different but, for us, we have found that 4 students is a really good number. We do a 30 minute lesson, charge two thirds as much as a private lesson, and include a free ukulele that students get to keep. On a business level, this is fantastic. We make almost three times as much money as we do during a standard 30 minute private lesson spot and students pay less. ​It really is a win win. It is really working well for our studio and kids love it! 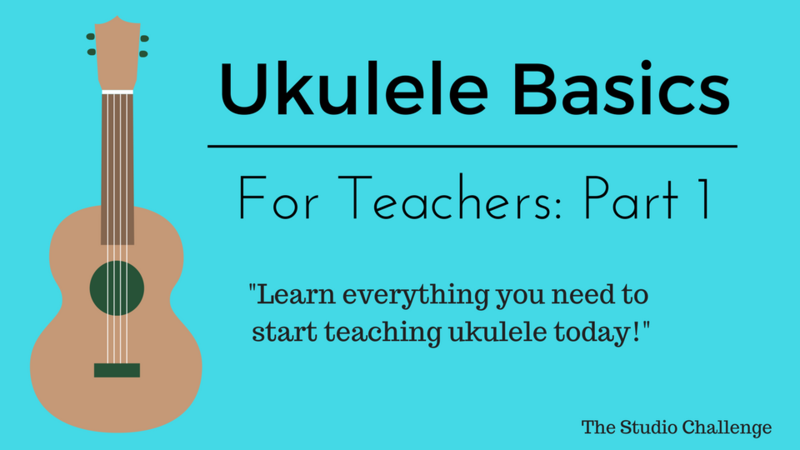 Ready to sign up for Ukulele Basics for Teachers? I regularly use ukulele during my piano lessons. 1. Accompany students while they play melodies. Most beginner books are in C, which is perfect for ukulele. You can learn a few chords and you're good to go! Playing along with students gives them the opportunity to "jam" with a different instrument and get used to playing along with different instruments. 2. Play melodies back to students. When correcting wrong notes I like to help students work on ear training. Instead of just telling them to move their fingers or correcting them verbally ("That's an F, not an E") I used to sing the melodies to them to help them hear the notes and think of them as more than just dots on a page. Similarly, playing the melody on a different instrument will help them to develop their ear and realize that a song isn't stuck on the piano but exists in a much bigger world. It also gives me the chance to sit back from the piano instead of always having to be right next to a student. 3. I use it as a bonus at the end of lessons from time to time. I can normally teach a student to strum and switch through 3 different chords within a couple of minutes. Then I'll either just let them play around on the instrument, play a melody or sing with them, or let them play the accompanying chords to a song they've been working on while I play the melody they've been playing. It's really cool to see them make the musical connections and I think that EVERYONE can benefit by learning at least a little on multiple instruments. Guitar is my primary instrument and I have been playing guitar for almost 20 years. I started playing piano, bass, and drums shortly thereafter and began teaching private lessons in college. 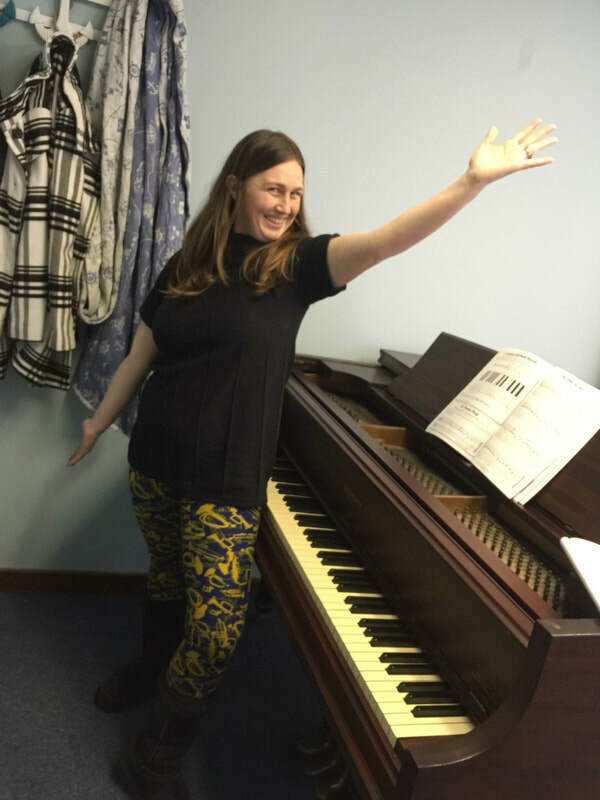 I have been teaching private lessons for almost 15 years and have taught private and group lessons in churches, music schools, my home, music stores, and currently in my own multi-teacher studio. I picked up ukulele about 6 years ago when a piano student asked me if I could teach her. We learned it together over a summer and I've never looked back. Whether you want to play melodies, chords, or a combination of those the uke is such a versatile little instrument. I've included a few videos to give you an idea of what you can do with the ukulele. 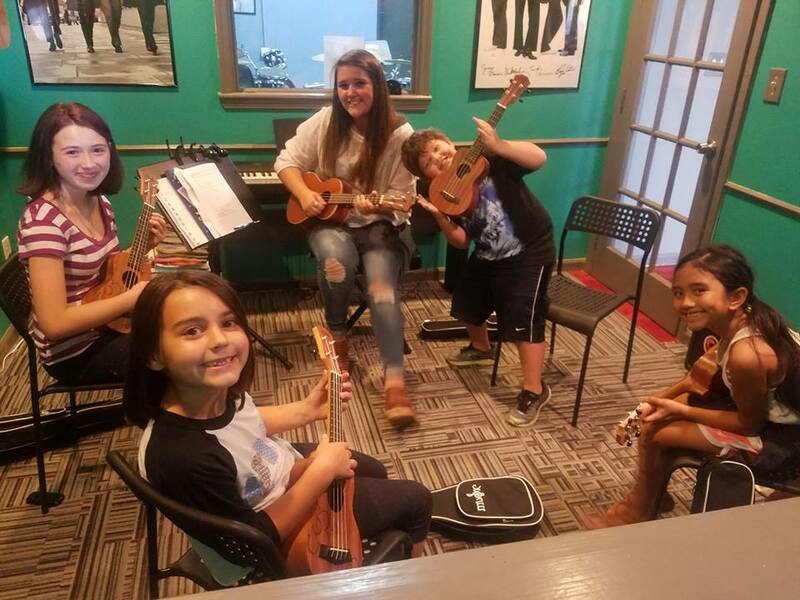 ​The most common use in our studio is students that want to strum simple chords and sing, though I have had some students to some pretty complex and awesome things over the years. A current student is working on Jake Shimabukuro's Bohemian Rhapsody and we did his cover of While My Guitar Gently Weeps last year. ​Like many things, you get out of the ukulele whatever you put into it. Every time that I think I'm going to be tapped out and that I've reached the limit of what ukulele can do we discover something else and the journey begins anew. Why should you add ukulele to your studio? Ukulele is a fun and easy instrument to add to your studio. To teach beginner ukulele classes you don't need a degree in Ukulele Pedagogy but it is extremely beneficial to have an understanding of proper ukulele technique, especially if you don't have a background in fretted instruments. Just like it is important to have proper technique with piano, it is crucial to have the right technique when approaching the ukulele. Unlike piano, the ukulele is portable. This is easily overlooked but students have to be locked into their piano to practice and to make music. What you are doing is giving your students a way to make music wherever they are. Picking up a second instrument will help your students to become better musicians and better pianists. 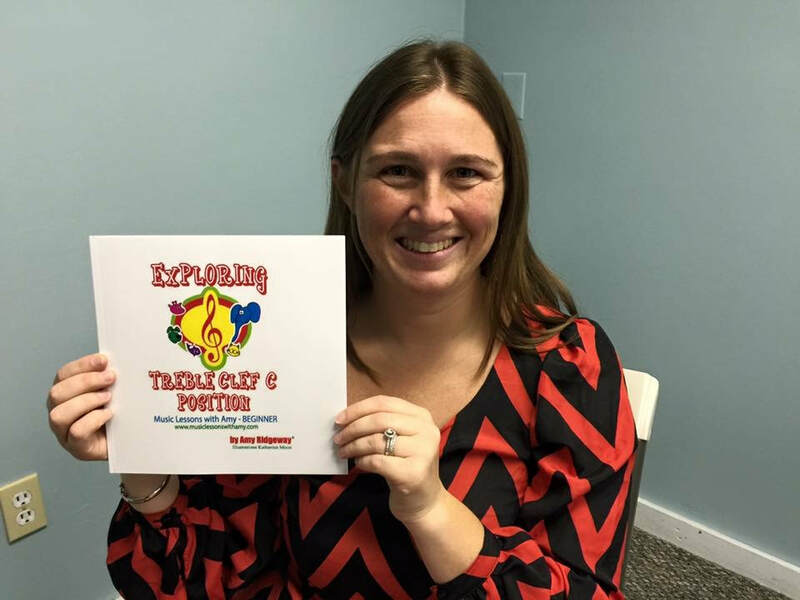 Having a deeper understanding of multiple instruments gives students a better appreciation for music and opens up a new world of possibilities for them. Ukulele is inexpensive. You can get a new ukulele for around $50. The ukuleles that we include in our group classes typically cost around $30. ​I'll leave you with a couple of students doing a really unique cover of Don't Stop Believing. ​I have been teaching for over 12 years. My studio is in Wall, NJ. That's the central shore. I personally teach piano and occasionally sax. I know the basics of quite a few instruments but would not be a good long term fit. The studio as a whole additionally offers guitar, bass, drums, ukulele, voice, violin, harp, dulcimer, recorder, pennywhistle, & mandolin. What is your Studio Story? How did you get to where you are now? I travel taught for over 10 years. I also worked at several music stores when I was younger. I enjoyed travel teaching, because I felt connected to each family. At some of the music stores, parents didn't come to check in on their children's progress. It felt like a big disconnect. After having my son, I absolutely hated being away from him. I was spending so many hours in my car driving from town to town and unpaid at the time since I didn't charge a travel fee. I had the idea to open a small studio and see how it went. I started out in a 500sq ft, 2 room space with offices as neighbors. I did well and expanded to a space about a 1000sq ft on the first floor with 4 teaching rooms, a waiting room, and it's own bathroom just 3 ½ months later. That is where the studio is today. Moral of the story, I wanted to maximize my time with my son and be able to offer all my programs in one place. This includes children's classes that I was renting space for in a few different locations. What is one thing that you think you do really well as a teacher? I think I connect with students really well. I really love teaching young elementary aged beginner students. I am creative and like being able to see the lightbulb light up for kids just because I explain a concept in a way that they can understand. What is one thing you think you do really well as a business owner? I maintain a friendly character and get to know all the families which at this point most are not my personal students. What is one thing that you really struggle with as a teacher? Most of the time, I wish I had more time with my students. I just want to keep teaching! What is one thing that you really struggle with as a business owner? 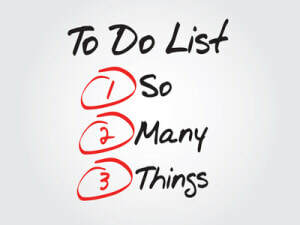 Getting things done! I have so many ideas and not enough time. I find it difficult to get my office work done at home with two young kids. My husbands schedule changes daily. I'd like to think I'd be even more organized with adequate uninterrupted office time. Share a funny student story. Funny & Sweet: I have a 9 year old student who has been with me over 2 years. He's always enjoyed coming, but his big realization of why he wanted to play piano was just over a year ago, because I was pregnant. He told his mom that he needed to practice extra so he could make beautiful music for Baby Ridgeway! Little did I know how serious he was and how far he'd come! You seem to have really exploded in the past year. What happened? What changed? When I took some time off/maternity leave, I plugged into this group. I read a lot of what others were saying. Consistency, that word stood out. I started using Facebook daily to advertise. My studio doubled in students in 3 months. What is your six month goal for you studio? Avoid tons of summer drops best I can by saying I can put them on the bottom of the wait list for Sept; Start 1-3 more rockbands, successfully host summer camps, start September with more students than ever! What is your one year goal for your studio? What is your 10 year goal for your studio? You’re an author! Tell us about your books and your future plans. Becoming an author was a big accomplishment and learning process for me. My published book Exploring Treble Clef C Position is one of a series. The other books are in the pipeline. This book is designed for beginner piano students from preschool through about 5th grade. The story line is very repetitive, but that is a useful tool for memorization skills. Children learn about real life animals in funny colors that match the music alphabet which allows them to use these animals as a reference point in their mind when they are reading black and white music with notes on the staff in lessons. By the end of this book, the animals all put on their music note costumes. I love that adults ask, sometimes beg, for this book as one of their lesson books. They have said that because it is written for young children, it is simplistic and makes it easier to remember. I think I saw that you’re opening up a second location? Can you tell us a little about that. 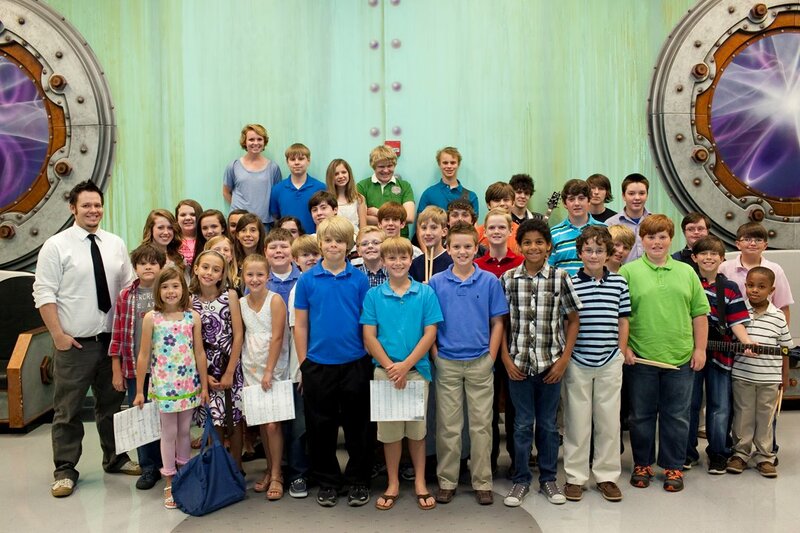 I have had a tremendous amount of interest in our lessons from people who live in my town and south of here. I am about 20-25 minutes south of my current studio. I decided opening a second location would allow us to bring in many more students who won't travel to our current location. I do have students that come to our current location who drive up to 45minutes and pass several other music studios on the way. So, what we offer clearly stands out. It makes me want to expand that to more families. The building is currently under construction. My two fabulous teachers will be making the move with me. They are both actually leaving their other jobs so they can take on as many students as possible with my studio. I'm really excited about that! What is your #1 tip for advertising and marketing? CONSISTENCY!!! Don't let up! Bring it up in conversation wherever you are. How are you using Facebook to attract new students? What about retention? 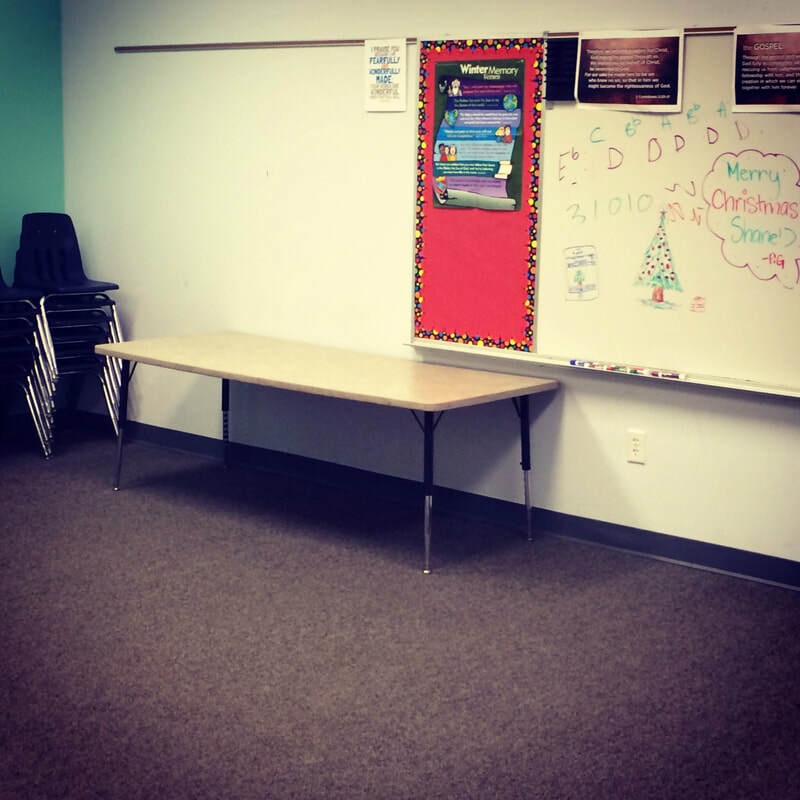 What do you do to keep your students in your studio? I try to always have something going on. Take April for example, it was Practice Challenge month. Each student decides with their teacher a reachable goal with how many days and minutes per day they will practice weekly. They fill out a practice sheet every week for the entire month. If they reach their weekly goal throughout the month, they get to attend a studio party in May! What is your niche? What sets you apart from every other studio? There are music stores near us that also give lessons. We strictly give lessons. The education is our number one concern. There are 3 of us total as teachers and we truly work as a team. Parents see that. Kids see that. We are all friendly with the families. We like to jump into each others lessons at times just to see what's going on and get to know the student. Sometimes, we decide to pair up students during lessons to do teach a quick duo. We are flexible (to an extent, don't get this confused with being firm on the business end with policies). What is your favorite band or artist? Jimmy Buffett has honestly been a favorite since I was a kid. He's one of my dad's favorites, and my dad plays his music a lot. It's relaxing for me. I really love The Beatles too though!! As much as I'm comfortable in front of a large group of people, I am not comfortable performing solos!! I was in a few bands, and I really enjoyed that! I wish I could be in one now, but the timing isn't right. Let’s say I’m just starting out as a teacher. Give me one piece of advice you wish you would have known when you started. Students are not your friends. They may feel like it on some days, but the truth is it all comes down to business. So, teach from your heart and give it all you've got to enjoy the time you do have with them, while preparing yourself that they may discontinue at any time. Let’s say I’ve been teaching for a few years and I’m just feeling burned out. How can I add some life into my studio? Do something you've never done before! Games/activities are fantastic when you need to grab a student's attention and give yourself a break. You can create them yourself or purchase from other teachers. This allows students to learn new concepts or work on familiar concepts with a different approach. We’ve all had that one student or parent that just drives us crazy. What do you do with that kid or family? Be firm. Do not let them call the shots. Whether it is talking while you are teaching, doodling while you are talking, excuses of no practice, or whatever it may be, just be firm with whatever you need to say, but do it in a manner that you can build a better studio relationship. I've been surprised by some. Some do come around. What is your craziest idea? What is something you would love to do if money, time, and space weren’t an issue? I would own commercial property and have my studio there! I would even have an outside practice space so when the weather is nice, we can all enjoy it! I would love to offer a recording studio as well. If you weren’t a studio owner, what else would you do with your life? Right now, I would just be an author. I am enjoying that route. It still allows me the time with my kids. If I wouldn't miss my kids too much, I would work as a 1st grade teacher. Check out Amy's Book here!